Japan and Russia are collaborating at last. It's all on behalf of a mammoth found a few months ago in Batagay in the Sakha Republic (in Siberia). The search for material is a result of the long-standing cooperation between Kinki University and the Mammoth Museum in the city of Yakutsk. Almost uniquely, the defrosting of permafrost around the body has been so rapid( and happened only once) that intact cells from the bone marrow could be taken on November 13th and grown in culture. These stem cells could provide us with the first reconstituted tissue from an extinct organism. This individual died 10,000 years ago with the Pleistocene mammal extinction, although a dwarf mammoth species is thought to have survived for a further 5,000 years. 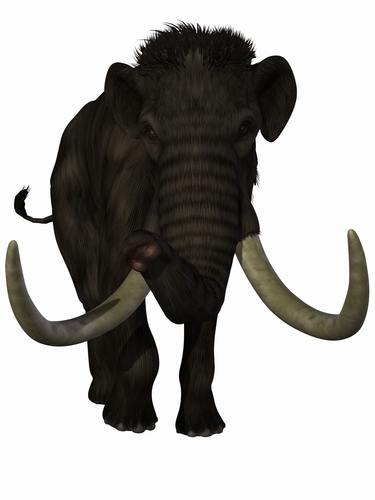 Mammoths are related to Asian elephants, which begs the question of their use in speeding the "reconstitution." In fact the Kinki University side of the partnership have already worked on 15,000 year old mammoth tissue and tried mouse eggs as host for the extracted nucei. They are now looking for potential egg donors from the Asian elephant. Since Professor Ian Wilmut's cloning of Dolly the sheep in Edinburgh, the research focus has switched to Prof. Shinya Yamanaka and others in Japan. He and a large group of collaborators have perfected advanced techniques for transferring nuclei to cells, including the ova from mice. Kinki University researchers, including Akira Iritani, the Chairman of the Genetic Engineering Dept., now have another chance to make spectacular history, just ten thousand years late!